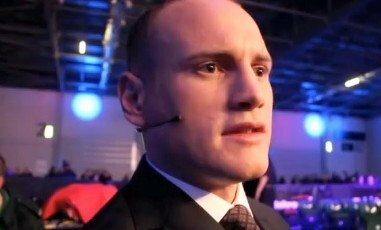 George Groves (19-1, 15 KO’s) turned down a 7-figure offer for a rematch from IBF/WBA super middleweight champion Carl Froch (32-2, 23 KO’s) after being unsatisfied with the specific requirements written into the contract. Groves is waiting for another offer that is more to his liking. However, Froch responded to the rejection of the offer by Groves to make a statement saying that Groves has refused the 7-figure offer made to him, and he would be looking to fight former WBC middleweight champion Julio Cesar Chavez Jr. instead. The question is was Froch’s offer a take it or a leave it offer? These are supposed to be negotiations, not a situation where you draw a line in the sand and make an offer and that’s the end of the story. The IBF has ordered Froch 90 days to fight Groves in a rematch. Froch is in a situation where he has to fight Groves again or give up the title. Of course, Froch can always vacate his IBF title to go and fight Chavez Jr. instead of facing Groves in a dangerous rematch. That’s always an option that Froch has on the table, but if he thinks he can walk away from the IBF ordered rematch with Groves while still in possession of his IBF super middleweight title, I think it’s doubtful the IBF will let that happen. Next boxing news: IBF Orders Froch/Groves Rematch!